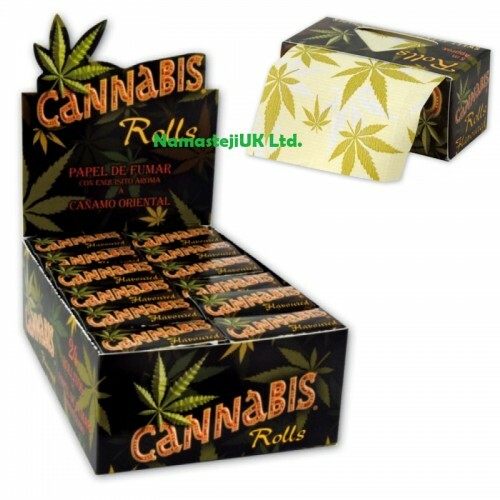 Hemp flavoured cannabis leaf pattern themed tobacco dry herb smoking rolls papers. Kingsize smoking rolling papers, leaf prints on papers. One roll is approx 5 meter. Full Box of 24 Rolls. Features Cannabis leaf theme pure hemp 5meter rolls rolling papers.